Mensusa https://www.mensusa.com/articles/ostrich-skin-wallets-portray-elegance-and-style.html Ostrich Skin Wallets Portray Elegance And Style Today's fashion conscious think that carrying an exotic leather product is a sign of affluence and dignity. So they often try to wear and use such leather jackets, wallets, shoes, etc. that enhance their looks. Since a wallet is a must-have accessory for all men, sophisticated men prefer to carry the ostrich skin wallets with them wherever they go. Ostrich skin wallets are unique accessories that raise your standard and portray your sense of style. Men who are conscious about their looks, pick and choose their outfits and along with them the appropriate accessories that would be a matching combination. The exotic leather items like the ostrich skin wallets take you to another level of dignity and creates a high status quo for you. 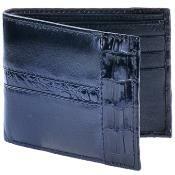 Hence, stylish men carry the most elegant and sophisticated among all wallets, the ostrich skin wallets with them. Why are the ostrich skin wallets so popular? There are certain accessories that all men require. A wallet is one such item that is a part and parcel of a gentleman. He must have a wallet in his pocket where he can keep his identity cards, visiting cards, bank cards and other necessary paper as well as money. So all those men who aspire to create an outstanding look and be the trendiest among his men, purchase exotic leather wallets like the ostrich skin wallets. Whenever you are in a gathering or even sipping tea with your colleague or friend, you need to take out your wallet. In such a situation, if your wallet is crafted from the finest Ostrich leather, it would really create a lot of difference in your status and respect. People will look upon you as a style icon and try to follow your footsteps in fashion and style. If you are wondering where to buy the ostrich skin wallets, then look no further or run about from one store to another. Just step into MensUSA and discover a marvelous variety of ostrich skin wallets created essentially for men of status and dignity. At this store you will find a number of sizes and shades of ostrich skin wallets. Choose according to your requirements and the size of the suit that you will wear for the wallet must fit in properly. The wallets have many pockets and so you can decide which ones to buy. There are four pockets, or four compartments, three compartments and such others to keep all your belongings. If you have too many things to carry with you like all your cards and coins, the four compartment ostrich skin wallets will be the appropriate choice. 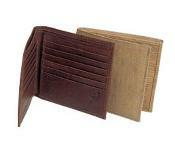 Apart from the utility factors, ostrich skin wallets are extremely beautiful and attractive. The original color of the Ostrich leather is maintained well by the experts that gives them that alluring looks. So if you wish to flaunt your style and personality, you must own one of the exclusively designed ostrich skin wallets available at MensUSA just under one roof.